[ Mishing Renaissance dedicates this section to Sanjoy Ghose, who worked selflessly for Majuli & its people but was ultimately eliminated by useless bunch of "contractors" who made money out of the annual floods & people's misery. The "freedom fighters" of ULFA too wanted Sanjoy's exit to pursue their hawkish goals of sabotaging the common people in the name of their hollow "freedom". Sanjoy's exit has left a big void in the lives of Majuli & its people. Sanjoy Ghose is a person who has lived and worked for the poor all his life, especially for the rural poor. Well known in the development and voluntary sector across the country, Sanjoy Ghose made a mark with his pioneering work in the villages of Western Rajasthan (India). With a background in rural management (IRMA, Gujarat) and agricultural economics (Oxford), he set up a voluntary agency called URMUL TRUST and began work in six villages of rural Bikaner.Later, Sanjoy moved to North East India. He strongly believed that the only cure to the ills of the Northeast are the people themselves. If young people could be helped to see an alternative path, a path of constructive work and development, much of the problems would be finished. 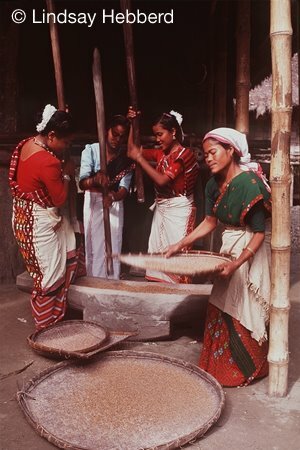 In order to demonstrate his idea and vision, Sanjoy Ghose, heading a small team of professionals, and under the banner of AVARD NE, moved to Majuli, the largest riverine island in the world, in April, 1996. Much neglected, on the brink of survival, and faced with a serious erosion problem, Majuli epitomised much of the situation in the Northeast. A major problem that the people of Majuli face every year is the flooding of their island by the Bramhaputra. Sanjoy and his team dealt with this problem by involving the people in evolving low-cost, community -managed solutions that dealt with both flood control and soil erosion. Over 20,000 people took part in these community initiatives. In the process, Sanjoy and his team made enemies of the contractors who till then were the people who benefited the most from the annual ritual of flood controls works. 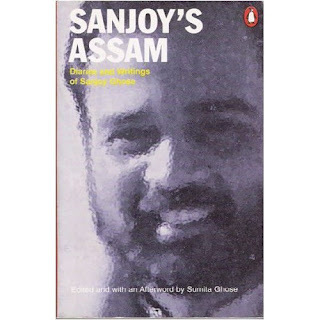 And he also became a threat to ULFA: Sanjoy's effectiveness with the people offered an unpalatable comparison to ULFA's achievements. For ULFA, it was simpler to abduct Sanjoy, then to introspect on their relationship with the people. In doing so, the ULFA stressed their impotence in the face of people-led initiatives. They also paid him their best compliment: they have helped Sanjoy Ghose highlight his belief that a path of constructive work and development is a better path for people to follow.